A blog dealing with road, rail and air transport issues in the UK. The trips taken by air passengers reflect their need or anxiety to arrive at their destination quickly. Whether we are leaving from or arriving at an airport does not matter since we have to do both on each trip. We also have to take as a necessary onus the immigration/customs/security controls we have to suffer. Other aspects over which we have no control are the check-in and baggage reclaim procedures. The efficiency of all these can make a trip pleasant or sufferable or totally unbearable. Where there is a tremendous variety of possibilities is in the journey to/from the airport. What all the forms have in common is the desire to be able to travel fast, in reasonable comfort, at a reasonable price with the opportunity of reasonable frequency of service so that any waiting is reduced to a minimum. Individual road transport is highly popular in use. This can range from somebody arriving at the airport in his/her own car, leaving it there for the duration of their time away in a long term car park so is able to pick it up again on return. Another variant is the drop off/pick up where the passenger is taken to/from the airport by a family member or friend by car. This is similar to the taxi service whereby the drop off/pick up service is charged for. The least frequent variant of this is the chauffeur driven car where a company or government agency provides a car and driver to transport its top level executives or dignatories. While indiviual road transport is highly polluting and occupies much road space, it is also the most convenient because it can provide a door to door service at the convenience of the passenger. Public transport in the form of bus or coaches is used to a great extent especially at middling to large airports. Coaches can be used to connect to city centres and other important destinations both regionally and long distance. Heathrow has a central bus station connecting to a large number of towns and cities countrywide.Local buses provide connections to neighbouring districts for both passengers and airport workers. In those cases where there is no airport rail station the buses will be used to connect to the nearest rail station as is the case at Luton airport. However, the one form of public transport to/from airports which has proved to be (a) the fastest with speeds which are higher than those permitted on the roads, and (b) more efficient since it is able to carry large numbers of passengers(up to and even more than 500 pax. each time) is the train or the tram. Some such train services pass through the airport on a route elswhere. These are the cases of the train services which pass through (under) the airports of Zurich and Geneva on their way to the city centres and even on further to the rail network countrywide. “......by mainline-or commuter trains, rapidtransit, people mover or lightrail. Direct links operate straight to the airport terminal,.....” This form of transport is also the least polluting. It is worth looking at some connections between airports and city centres. The information is summed up in the following table. For the purposes of this article this blogger added the column indicating the average speed of the trains according to the information provided. Though the following table information does not appear in the article, I have used the same criteria to establish a comparison for connections in the UK. These connections would be from airports in the south East of England, or have been mentioned at some time as possible alternatives to South East England airports which could serve London. Of other airport connections such as those that exist in Scotland or the north of England there are only four of any relevance. Though the circumstances are different only three routes can present fastest times of over 100kph. These are from Southampton, Birmingham and East Midland airports with average speeds of 102kph. 140kph. and 130kph respectively. It should be pointed out that South West Trains use feed of 750 DC volts from a ground based third rail which will probably be able to provide a maximum speed much lower than the Virgin Trains service using 25,000 AC volts from overhead lines. Virgin Trains are also speed limited to 200kph. on the WCML, while the speed capacity of the rolling stock is 225kph. On the MML north of Bedford diesel units must be used up to EM Parkway as the line has not yet been electrified which would suggest that times would be considerably improved when the line is electrified making the option very competitive. Another factor to note on this service is that a bus transfer is necessary to the EM airport terminal as it is some distance from the EM Parkway rail station. Therefore the total travelling time would be somewhat longer. However, the overall conclusion undoubtedly is that line speeds can and should be improved. Meanwhile let us look at the rail services on offer to Gatwick, Stansted and Heathrow airports. The origins of Gatwick airport and its rail connection go back to 1891 when a horse racetrack was opened on the land of Gatwick manor next to the London - Brighton Railway. A station was built, called Gatwick Racecourse, to serve the racecourse together with dedicated sidings for the horse boxes. As was the case then(and is frequently the case now) an aerodrome was built on the race course to facilitate access. Following its opening officially as Gatwick aerodrome in August 1930 the airport gradually increased in activity so that a new rail station was opened in September 1935, known as Gatwick. Two trains per hour stopped here on the Victoria - Brighton line. Thus Gatwick airport was the first in the world to provide a rail connection into the city centre. During the 1950s there was discussion about whether to use Stansted or Gatwick as London´s second airport. Gatwick was decided upon and after its rebuilding was opened in 1958 as such. The rebuilt rail station was officially named Gatwick Airport and opened on May 27th. Queen Elizabeth II opened the "new" airport on June 9th. From June 1958 the rail services were provided by stopping trains on the Victoria - Brighton line. These were eventually reduced to stopping only at East Croydon between the airport and Victoria. In May 1984 the non-stop rail service between Gatwick Airport and Victoria began as Gatwick Express for the first time. It was segregated from the other British Rail´s inter-city operations into a seperate unit. It was thus the first unit to be privatised and started as a franchise, operated by National Express, 28th April 1996. The franchise was incorporated into the South Central franchise, operated by Southern, on 22nd June 2008. The Department of Transport has subsequently announced that in July 2015, the South Central franchise will be merged into the proposed new Thameslink Southern Great Northern franchise. The unit at present operates and is planned to operate in the future under its own identity. Other operators provide services from or through Gatwick Airport. Southern operates under its own name under different stopping patterns with services from the south coast to Victoria and London Bridge stations. First Capital Connect operates from Brighton through Gatwick to Blackfriars, Farringdon(for the future Crossrail), St.Pancras(for Eurostar and intercity lines northwards) and on to Luton(for the airport) and Bedford. First Great Western operates to Reading for connections to Birmingham, to South Wales and to Bristol and the South West. As part of the expansion of Stansted airport and the extension of electrification of the line from Liverpool St. to Cambridge at the end of the 1980s and beginning of the 1990s. a branch line was constructed from Stansted Mountfitchet, to Stansted Airport. This enabled direct trains to run from Liverpool St., Cambridge and elsewhere. At first converted regional trains were adapted for use on the service but since March 2011 specially constructed electrical units have been designated to the route. The trains run every 15 mins. and take 47 mins. 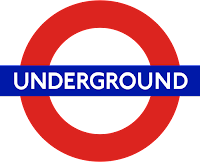 to reach Liverpool St. with an intermediate stop in outer London at Tottenhan Hale for passengers connecting with LUL´s Victoria Line. Other services are offered from the airport to Liverpool St. on Greater Anglia local stopping services. Cross Country Trains run trains hourly through most of the day along the tortuous route to Peterborough, Leicester and Birmingham New St. taking about 3hrs.13mins. to cover the 256kms journey at an average speed of 80kph. This speed not only makes this route very unattractive but also meanders its way across the countryside when the distance between the two points is 162kms. (as the proverbial crow flies). The services into Heathrow airport are another story. With the increase in passenger numbers in the 1960s the government decided to extend the LUL Piccadilly LIne from Hounslow West into Heathrow. 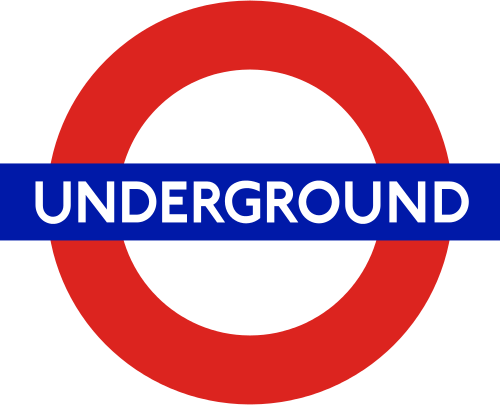 Work began in April 1971 on construction of the Piccadilly Line extension from Hounslow West to Heathrow Central (5.6 kms.). Hatton Cross (for the maintenance area in the east of the airport) opened 19th July 1975. The Heathrow Central extension was finally opened 16th December 1977. By the early 1980s passenger figures passed 30 million so a new terminal was built at the south east of the airport,opened officially 1st April 1986. 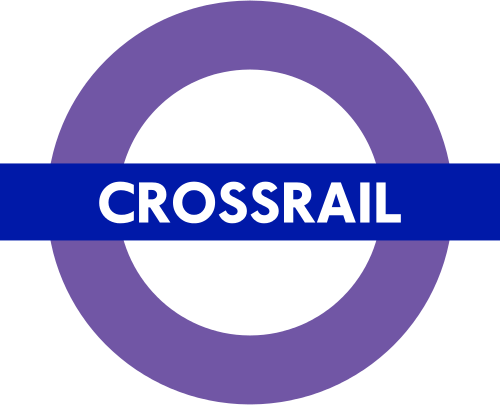 The single line loop from Hatton Cross to Terminal 4 round to Heathrow Central was opened with only one platform in T4 and is unidirectional. A connection from T4 to the Great Western Main Line(GWML) was approved in 1988. This non-stop rail service from Paddington mainline station to Heathrow T4 was opened in its full extension 23rd June 1998.The service from Paddington to Heathrow runs at 15 minute intervals taking just 15 minutes to arrive at Heathrow Central (to Terminal 5 it takes 21 mins. ).The capital cost of GBP190 million was covered 80% by BAA and 20% by British Rail. Thus Heathrow Express(HE) is both operated by BAA(now known as Heathrow Airport Holdings Limited) and owned by them from the GWML to the airport. However, it is maintained by Network Rail for Heathrow Airport Holdings Limited.The service now runs from Paddington to Terminal 5 while it offers a shuttle service from Heathrow Central to Terminal 4. Heathrow Connect (HC)(a joint venture between Heathrow Airport Holdings Ltd. and First Great Western) started 12th June 2005, running originally from Paddington to T4. This is a stopping service from Paddington along the GWML and then ran, originally, into Heathrow Central and T4. Now it runs only to Heathrow Central. From there anybody who wants to travel to (or from) T4 has to connect to an HE shuttle service. The problem seems to reside in the connection at Airport Junction between the HE line and the GWML. The frequency of trains is restricted which is why HE has 4 trains per hour(tph) running into T5 while HC only offers 2tph. The original connection at Airport Junction, Stockley Flyover, has a complicated system of operation.The original flyover connected the HE line to the fast lines on the GWML. With the introduction of HC services these used the GWML slow lines. This meant a combination of reverse running over the flyover and crossing the fast lines in the other direction(this is a total line capacity reducing measure). 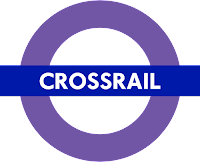 It seems that this problem should be solved with the introduction of Crossrail services in 2019 which will take over the HC services. These will run from Heathrow, probably T4, to the central area, through to Paddington then Central London and out east at 4tph(double the HC frequency). There has been talk about long distance trains being run from Heathrow to other parts of the country but nothing concrete has been decided upon so far. There is, however, an initiative to link the GWML to Heathrow from the direction of Reading.This could be a shuttle service to that important rail centre, or it could the link opening up services from South Wales, Bristol and the South West. Conclusion: The idea of providing transport links from city centres and elsewhere to main airports has extended worldwide. With new airports it is taken for granted that a rail link will be provided from the airport to the city centre, and even elsewhere. The UK led in this field with the connection from Gatwick airport but has dithered and dathered in the 21st century about the extension of the idea to all airports. The problematic extension of the Edinburgh tram scheme to the airport is a case in point. The controversial HS2 has proved another case in point. The proposal is for the line to stop someway outside Birmingham on its way north, but not at nor anywhere near the airport. The extension to Manchester stops near the airport but not at it, even though the infrastructure exists. On the extension to Leeds the line is planned to run under(!!!) East Midlands airport to Toton which is somewhat outside Nottingham, but not at the airport. This illustrates nothing but blinkered thinking, if any thinking at all. The lines to Gatwick, Luton and Stansted airports have to be looked at again. Increasing the tracks from 2 to 4 or even 6 might well be necessary to accommodate the increase in traffic to be envisaged. This will mean for local as well as airport passengers. The Victoria-Brighton line is crowded so the possibilities of increasing services without subtracting others from the line is rather limited. Luton can be connected to both the MML, the ECML (at Stevenage) while a shuttle train service to the WCML (at Milton Keynes) could make it the best connected airport. Stansted, on the other hand needs an upgrade of the tracks to 4 so as to enable fast trains not to mix with slow ones thus increasing line speeds. The same applies to airports elsewhere in the country.For example, Prestwick has a station but few passengers while Glasgow has passengers but no rail connection - it was dumped a couple of years ago. Modernisation and upgrades should be the order of the day. Connection times can only be reduced by two means by (a) better or more track and alignment, or (b) better and more appropriate rolling stock. We often forget that improvements for one purpose(in this case airport links) can frequently mean improvements for all users. So be it. Simple theme. Theme images by hfng. Powered by Blogger.